Eight more letters of my Half Square Triangle (HST) Font are done! I have 18 completed letters now. This is so much fun I decided to do all 26 letters in the alphabet. That will make a 30 block quilt with 4 blocks of negative space that will be filled with blocks of the Uppercase fabric. 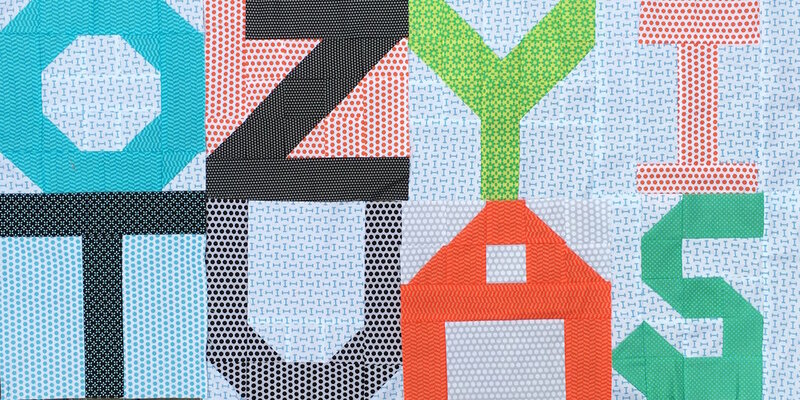 Click over to Janine Vangool's Uppercase Fabric page and see all the fun projects that were created to promote this line which was printed by Windham Fabrics. The Uppercase!! page has swatches so you can see the entire fabric line. All the pieced letters of my HST font should be completed by my next post! And I have a couple of other fun projects I can't wait to share!